A perfect example of the strong design and development partnership between Burnside Autocyl and our customers is the unique and very successful Combilift Straddle Carrier which is manufactured by Combilift a leading manufacturer and solution provider to the logistics industry. 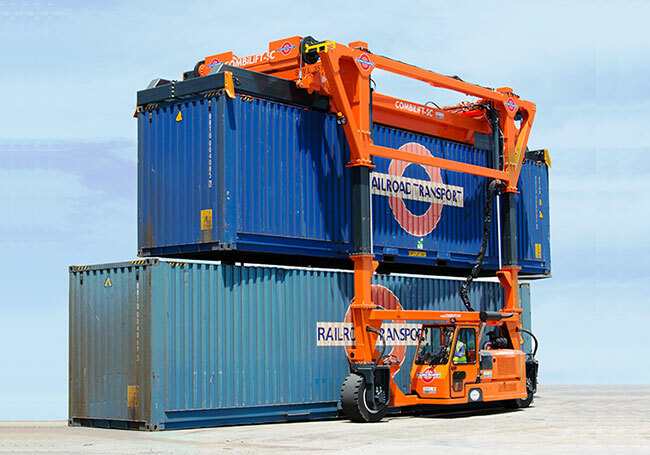 Since its launch in 2010 customers and applications for this multi-purpose self-propelled lifting vehicle have continued to grow strongly and the product can be found today in ports and container yards worldwide. This robust machine gets its lifting power from custom hydraulic cylinders designed and manufactured by Burnside Autocyl in conjunction with Combilifts engineering team. Our expertise and flexibility designing custom hydraulic cylinder solutions make us the ideal partner for complex engineering challenges such as the straddle carrier. Our world-class research and development facilities on site enable us to support our customer’s growth and continuously evolve their product range. We are committed to being a truly top hydraulic cylinder manufacturer partner for your custom hydraulic cylinder requirements.